Most people have probably heard of transformers and are aware that they are part of the ever-evident yet still mysterious power grid that delivers electricity to homes, businesses and every other place where "juice" is needed. But the typical person balks at learning the finer points of electrical power delivery, perhaps because the whole process seems cloaked in danger. Children learn from a young age that electricity can be very dangerous, and everyone realizes that any power company's wires are kept high out of reach (or sometimes buried in the ground) for a good reason. But the power grid is in fact a triumph of human engineering, without which civilization would be unrecognizable from the one you inhabit today. The transformer is a key element in the control and delivery of electricity from the point at which it is produced at power plants until just before it enters a home, office building or other end destination. Think of a dam holding back millions of gallons of water to form an artificial lake. Because the river feeding this lake does not always carry the same amount of water to the area, with its waters tending to rise in the spring after snow melts in many areas and ebb in the summer during drier times, any effective and safe dam must be fitted with devices that allow for finer control of the water than simply stopping it from flowing until the level rises so much that water simply spills over it. Dams therefore include all manner of sluice gates and other mechanisms that dictate how much water will pass to the downstream side of the dam, independent of the amount of water pressure on the upstream side. This is roughly how a transformer works, except that the material that is flowing is not water but electrical current. Transformers serve to manipulate the level of voltage flowing through any point in a power grid (described in great detail below) in a way that balances efficiency of transmission with basic safety. Clearly, it is financially and practically advantageous to both consumers and the proprietors of the power plant and grid to prevent losses of power between electricity's leaving the power plant and its reaching homes or other destinations. On the other hand, if the amount of voltage coursing through a typical high-tension power wire was not diminished before entering your home, chaos and disaster would result. Voltage is a measure of electric potential difference. The nomenclature can be confusing because many students have heard the term "potential energy," making it easy to confuse voltage with energy. In fact, voltage is electric potential energy per unit charge, or joules per coulomb (J/C). The coulomb is the standard unit of electrical charge in physics. A single electron is assigned -1.609 × 10-19 coulombs, while a proton carries a charge equal in magnitude but opposite in direction (i.e., a positive charge). The key word here, really, is "difference." The reason that electrons flow from one place to another is the difference in voltage between the two reference points. Voltage represents the amount of work that would be required per unit charge to move the charge against an electric field from the first point to the second. To gain a sense of scale, know that long-distance transmission wires typically carry from 155,000 to 765,000 volts, whereas the voltage entering a home is usually 240 volts. In the 1880s, electrical service providers made use of direct current (DC). This was fraught with liabilities, including the fact that DC could not be used for lighting and was very hazardous, requiring thick layers of insulation. During this time, an inventor named William Stanley produced the induction coil, a device capable of creating alternating current (AC). At the time Stanley came up with this invention, physicists knew of the phenomenon of AC and the advantages it would have in terms of power supply, but no one had been able to come up with a means of delivering AC on a large scale. Stanley's induction coil would serve as a template for all future variations of the device. Stanley nearly became a lawyer before deciding to work as an electrician. He started in New York City before moving to Pittsburgh, where he began to work on his transformer. He constructed the first municipal AC power system in 1886 in the town of Great Barrington, Massachusetts. After the turn of the century, his power company was bought by General Electric. Can a Transformer Increase Voltage? A transformer can both increase (step up) or decrease (reduce) the voltage traveling though power wires. This is loosely analogous to the manner in which the circulatory system can increase or decrease the supply of blood to certain parts of the body depending on demand. After blood ("power") leaves the heart (the "power plant"), to reaches a series of branch points, it may wind up traveling to the lower body instead of the upper body, and then to the right leg instead of the left, and then to the calf instead of the thigh, etc. This is governed by the dilation or constriction of blood vessels in the target organs and tissues. When electricity is generated at a power plant, transformers boost the voltage from a few thousand up to hundreds of thousands for purposes of long-distance transmission. As these wires reach points called power substations, transformers reduce the voltage to under 10,000 volts. You have probably seen these substations and their intermediate-level transformers in your travels; the transformers are usually housed in boxes and look a little like refrigerators planted at roadside. When electricity leaves these stations, which it may usually do in a number of different directions, it encounters other transformers closer to its endpoint in subdivisions, neighborhoods and individual homes. These transformers reduce the voltage from under 10,000 volts to the vicinity of 240 – over 1,000 times less than the typical maximum levels seen in long-distance high-tension wires. How Does Electricity Travel to Our Homes? Transformers are, of course, only one component of the so-called power grid, the name for the system of wires, switches and other devices that produce, send and control electricity from where it is generated to where it is ultimately used. Before the electricity leaves the power plant, it encounters a transformer for the first time. This is the only point at which transformers in a power grid markedly boost voltage rather than reducing it. This step is needed because the electricity then enters large transmission lines in sets of three, one for each phase of power, and some of it may have to travel up to 300 miles or so. At some point the electricity encounters a power substation, where transformers reduce the voltage to a level suitable for the more low-key power lines you see in neighborhoods or running along rural highways. This is where the distribution (as opposed to transmission) phase of electricity delivery occurs, as lines usually leave power substations in a number of directions, just like a number of arteries branching off a major blood vessel at more or less the same junction. From the power substation, the electricity passes into neighborhoods and leaves the local power lines (which are usually on "telephone poles") to enter individual residences. Smaller transformers (many of which look like small metal trash cans) reduce the voltage to about 240 volts so it can enter homes without a great risk of causing a fire or some other serious mishap. 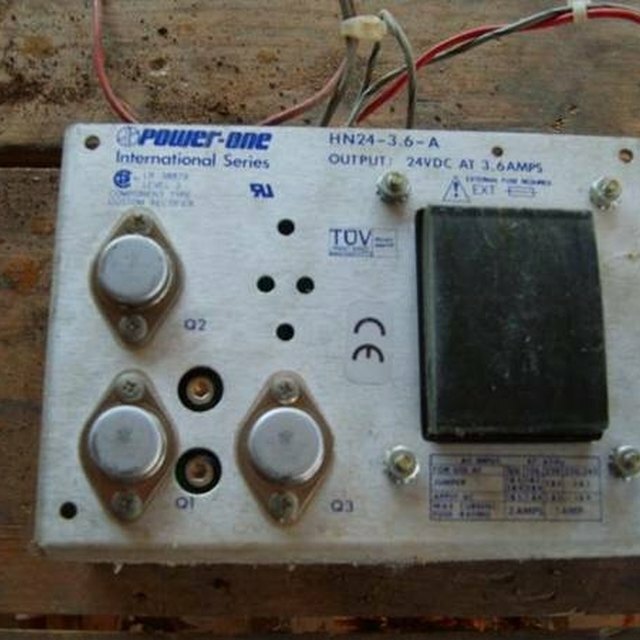 Transformers not only need to do the job of manipulating voltage, but they also have to be resistant to damage, be this by acts of nature such as windstorms or purposeful human-engineered attacks. It is not feasible to keep the power grid out of reach of the elements or human miscreants, but the same, the power grid is absolutely vital to modern life. 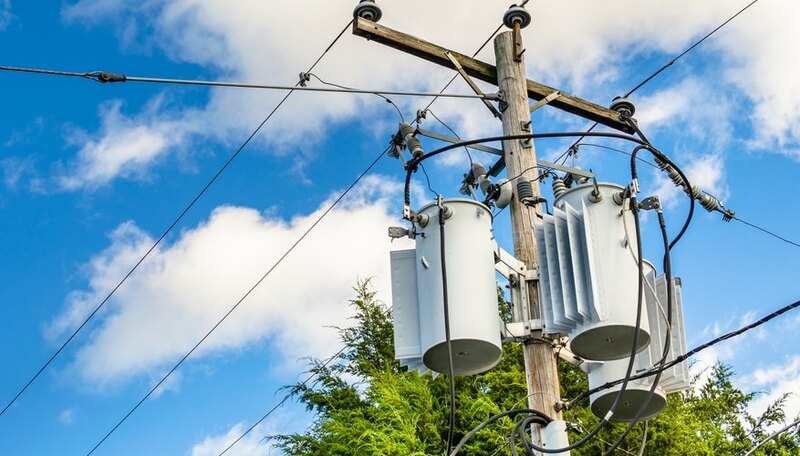 This combination of vulnerability and necessity has led the U.S. Department of Homeland Security to take an interest in the biggest transformers in the American power grid, called large power transformers, or LPT. The function of these massive transformers, which lie within power plants and can weigh 100 to 400 tons and cost millions of dollars, is essential to the maintenance of everyday life, since the failure of a single one can lead to power outages over a wide area. These are the transformers that step up voltage dramatically before electricity enters long-distance high-tension wires. As of 2012, the mean age of a LPT in the U.S. was about 40 years. Some of today's top-end extra-high-voltage (EHV) transformers are rated at 345,000 volts, and the demand for transformers is rising both in the U.S. and globally, compelling the U.S. government to seek ways to both replace existing LPTs as needed and develop new ones at a comparatively low cost. A transformer is basically a large, square magnet with a hole in the middle. Electricity enters on one side via wires wrapped a number of times around the transformer, and leaves on the opposite side via wires wrapped a different number of times around the transformer. Entering electricity induces a magnetic field in the transformer, which in turn induces an electric field in the other wires, which then carry power away from the transformer. At the level of physics, a transformer works by taking advantage of Faraday's law, which states that the voltage ratio of two coils equals the ratio of the number of turns in the respective coils. Thus if reduced voltage is required at a transformer, the second (outgoing) coil contains fewer turns than the primary (incoming) coil. Beck, Kevin. "What Is the Purpose of a Transformer?" Sciencing, https://sciencing.com/purpose-transformer-4620824.html. 16 November 2018.